Each square is an embossed tin panel. 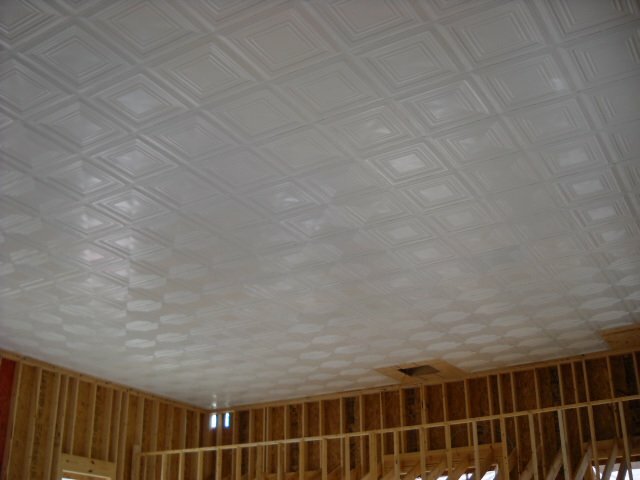 The original tin ceiling was simply nailed to strips in the ceiling. Our contractor elected to use plywood, and then install the tin. The opening in the back is the "trap door" to the steeple/bell tower.